Perhaps the pinnacle of beer geekery, being able to brew a beer with hops grown in your own back garden. Here are some useful tips if you’re considering growing hops. Hops produce best between the 30th and 52nd latitude - Lands End is at 50° and John O’Groats is 58, so generally the further south you are the better your chances. 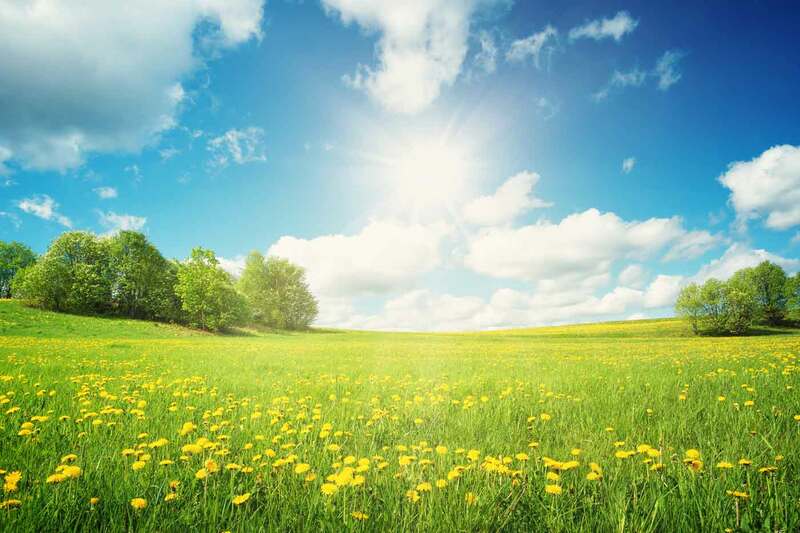 As sun loving plants they are wanting around 6-8 hours of sun a day in summer months – so somewhere south facing and exposed is ideal. Where you are has a big effect on the flavour of your hops, well trained palates can tell the difference between hops grown a few miles apart. So if you’re looking to brew clones of hop forward American beers you should be aware that your home-grown cascade is going to taste very different to those grown on the west coast of America. Hops ideally should be planted in spring, late enough to avoid a frost. Hops prefer; loose, non-compacted, easy draining, slightly acidic and highly nutritious soil. You should dig a small hole, fill with well aerated soil and build a mound about a foot high above ground level. For rhizomes you want to create a 3” trench to put the rhizome in. Pack the soil lightly around this to ensure there is plenty of air and then cover with mulch or straw. This helps to keep the roots cool and make it easier to deal with weeds. You want to keep the ground moist, watering every couple of days will be sufficient unless the temperature is really hot. Hop bines grow vertically and require some kind of trellis/structure to climb. Your trellis could be some heavy rope or twine going from ground level to your roof or a few tall poles securely mounted in the ground – some design ideas can be found here. Hop bines can grow to over 25feet and weigh up to 12kg so be sure the structure is strong and secure. When selecting the string for your climbing structure, the traditional choice is coir (which is made from coconut hair) but rolled paper twine is also quite popular. You should avoid slick synthetic ropes as the hairs on the hop bines will not be able to grip these. Once the hops begin to grow, select the best bines and wrap them around your trellis or structure to train them. Hop plants are surprisingly resilient but they will require some maintenance whilst they are growing. As well as fertilising the ground and weeding you should prune leaves from the bottom of the plant, clearing the bottom 2-3ft of leaves regularly to help with aeration and pest control. Hops will grow throughout summer should be ready for harvest by early September. In the first year the harvest is likely to be small as hops haven’t yet reached peak yield. 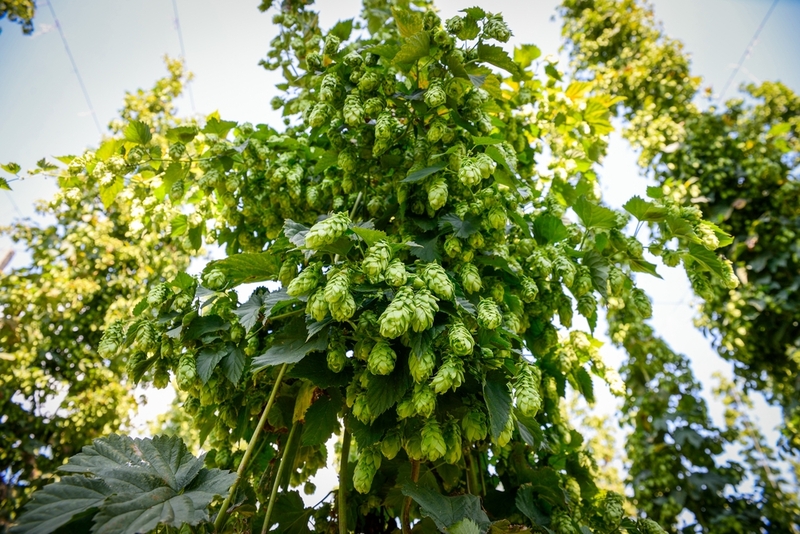 Hop cones are ready for harvest when they are dry/papery to the touch, springy, have a strong hop aroma and leave yellow lupulin powder on your fingers – when you think they’re ripe pick one and open it, if ripe it should be full of thick yellow-gold lupulin powder. Hop cones may not mature evenly so it’s important to harvest those from the top first and work your way down ensuring all cones are ripe before harvest. It’s important to dry your hops using air movement and not heat as this will cause essential oils to burn off and you will lose aromatics. Placing them in a paper bag(s), away from sunlight and setting up a fan to gently blow across them works well with regular turning of the hops. Once dry, place in a sealed bag remove as much oxygen as possible from the bag and store in a freezer. After harvest you want to cut bines back to approx. 3ft. The winter frost will kill off the bines, after which they should be cut back further and covered with mulch. Come spring trim the roots back to about a foot, add some fresh mulch and fertilizer and a new trellis and your good to go for the next season. If you’ve grown your own hops before, and have any tips you can share with others please add them into the comments below.